Will you be in breach of new EPC regulations? Are you a landlord who lets property? If so, then you may be affected by upcoming legislation changes. As of April 1st 2018, the new law will prevent landlords from renting their property without an EPC (Energy Performance Certificate) rating of E or above. * It’s estimated that as many as 20% of non-domestic properties in England and Wales currently have an EPC rating of F or G.
Once you know the EPC rating of your building, it’s then important to look at the options for improving its efficiency. Although there is no blanket solution to improving energy efficiency, there are several options available, each varying in effectiveness depending on the type and size of the building in question. SunGift Energy regularly works with Up Energy, professional energy assessment specialists based in Exeter. Up Energy have kindly taken the time to share their advice on how you can avoid falling foul of the new EPC regulation by improving your building’s energy efficiency. For more information about the upcoming legislation change, check out the gov.uk website. Do you know your EPCs? An EPC provides a rating of a building’s energy performance on a scale of A-G (‘A’ being the most efficient). 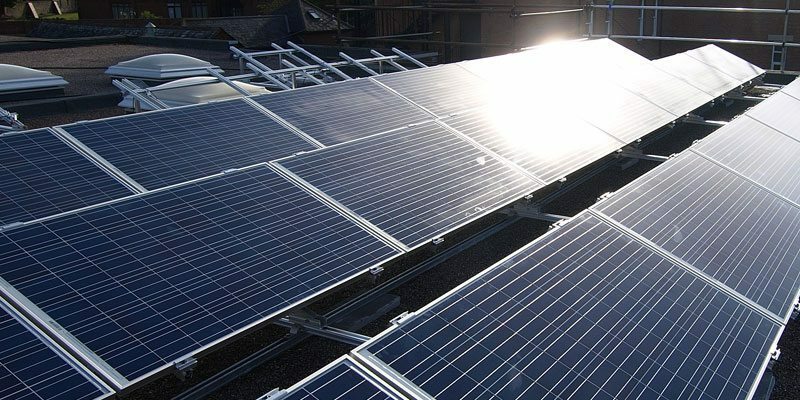 The rating is based on a number of factors including heating, cooling, ventilation, lighting, controls and any on-site energy generation (such as solar PV). How can you improve your building’s EPC rating? The type of building you are in will determine what’s important when trying to improve your EPC rating. What will improve the energy efficiency of a warehouse, for example, will not necessarily significantly improve the energy performance of an office. So, in an attempt to bring some clarity to the matter we have summarised the key areas in which the EPC of various buildings can be improved. LEDs and modern T5 fluorescent tubes give the best ratings, whereas older fluorescent lighting such as the T8 and particularly the T12, or any tungsten lighting, are much worse. Automated lighting controls will also help regulate your energy use, improving your EPC. The impact of heating a warehouse can vary enormously. Biomass and natural gas give better EPC results than LPG, oil and basic electric heating. The heating unit efficiency is important, with more modern systems usually faring better. Large, unheated warehouses will be affected less by the heating system, compared to heated workshops. Regulations brought into action in 1985 mean that any building constructed after this time will be better insulated than older ones. 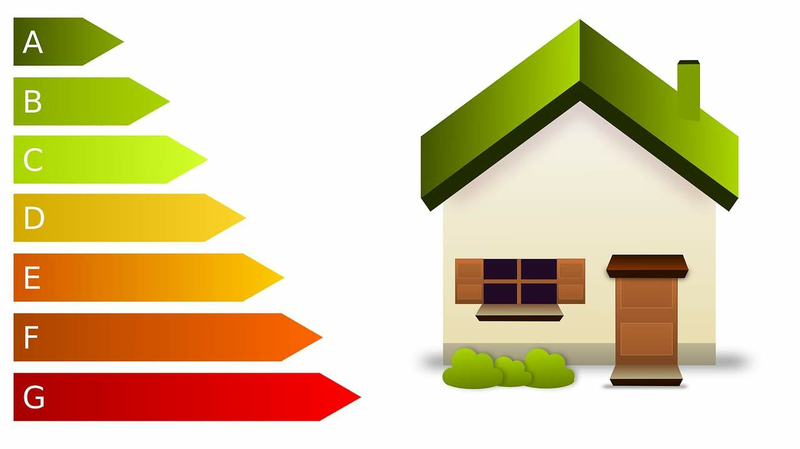 Insulated buildings will perform better than uninsulated buildings and if you have made any upgrades, evidence of this should be provided to include in the EPC assessment. Evidence of new or upgraded walls, roofs, floors and windows is crucial for an energy assessor to be able to account for its impact on the EPC calculations. In industrial units, an insulated rolling shutter door can sometimes make a big difference compared to an uninsulated one for heated spaces. 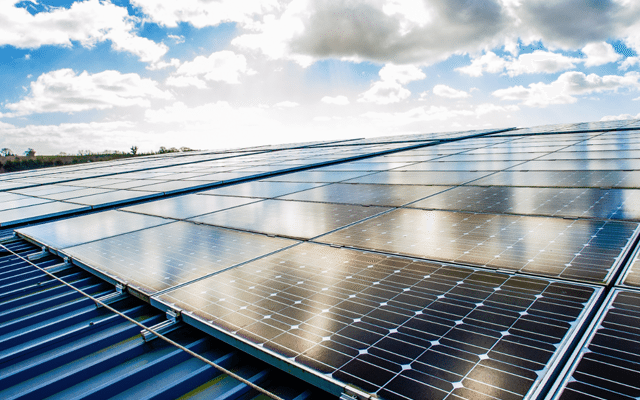 Solar PV is the obvious choice for industrial warehouse units with lots of roof space. However, with small industrial units which are poorly insulated and off the gas grid, fixed heating is required. A biomass/wood burning stove can sometimes help with the EPC rating. In office type activities lighting can often be assumed to take up half the energy load, so it is important to upgrade lighting to LED equivalents. 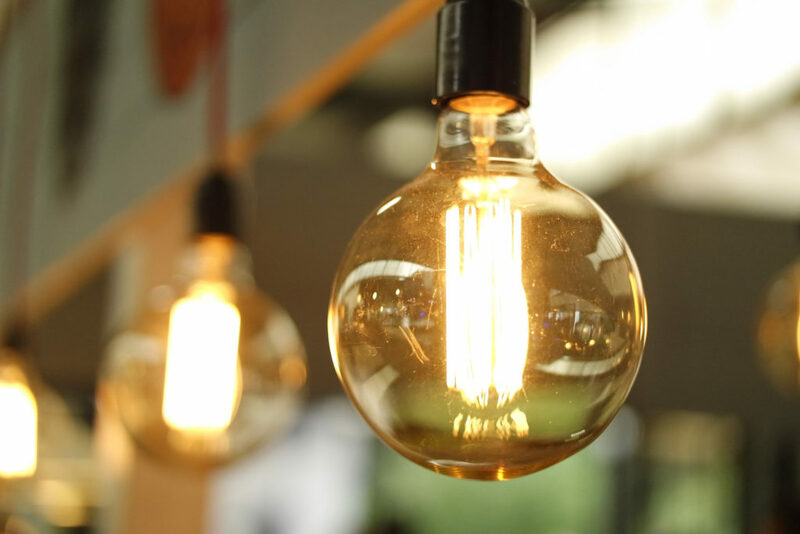 It is particularly important to change over any tungsten, halogen or T12 strip lights to LEDs, as these can have a severe impact on the energy rating. Offices will often have a very high heating load, which is often the biggest factor in an EPC, especially if it is heated by electric panel or night storage. If office areas – including staff areas such as tea making spots and WCs – are not heated using fixed heaters, the EPC assessment must assume electric heating is being used as a worst case default. This will bring down the energy rating. A natural gas boiler, installed in the last 10 years and serving a standard wet radiator system, usually fares okay on the EPC assessment. However, beware of any hot water demand (such as showers in the building) as this can have an adverse impact on the EPC, so well insulated water cylinders are important too. Even if the heating system is highly efficient, the EPC rating will still be let down by uninsulated buildings built before 1985. Consider installing loft insulation with a thickness of over 200mm and retrofitting cavity wall insulation where possible. Evidence of new or upgraded walls, roofs, floor and windows is crucial for an energy assessor to be able to account for its benefit in the EPC calculations. In an ideal world, an energy assessor will be able to confirm during their site visit whether there are any construction materials that improve the insulation. If they cannot however, they must assume default values relating to the building regulations around the time of the property’s original construction. Solar PV will help offset some of the lighting and perhaps a small proportion of the electrical heating. High efficiency heat pumps serving wet radiator or under-floor systems can be good measures for those buildings off the gas grid. Depending on the size of the property, low energy lighting throughout the building usually results in a rating of just one or two points higher than without low energy lighting. Although the impact is relatively small, the cost to upgrade is fairly low. Heating fuel and heating plant efficiency have the biggest impact. A modern, natural gas boiler and wet radiator system usually gives a good result; an older, inefficient LPG boiler will give a much worse rating. Having programmers, timers and thermostats on the heating and hot-water systems can also make a few points of improvement. Make sure to top up the loft insulation up to or over 250mm if possible. For older buildings retro-fitting cavity wall insulation can be a good way to improve the EPC rating where it is possible. This has pretty much been answered above, as the insulation, and date of construction, are key. With domestic properties fuel costs are as much of a factor as carbon emissions. Solar panels and heat pumps will help offset some electricity costs for heating and lighting. What should you do if you’re worried about your EPC? If you want to be on the safe side, you can contact Up Energy to have an assessment of your building made. If you then need to improve your energy rating, SunGift would be happy to design and install a solar or LED system that best fulfills your energy needs. Please note that, all of the above will vary from building to building, and it’s impossible to predict an EPC rating until after a survey has been carried out. None of the advice above guarantees an improvement in the EPC rating, due to the large variance between buildings. * As of April 2018 the regulations will only apply to new leases and lease renewals, while existing leases will be unaffected. However, the introduction of further legislation in 2023 will apply to all privately rented property, including existing leases and properties that are currently occupied.